If you’d asked 10 years ago what I saw myself doing today, candy-making would never have occurred to me. Back then, I never really gave much thought to food at all, much less to candy. I passed the time going quietly off to work every day as a lab technician, not really knowing where I was steering my life other than toward a nice retirement at the end of a very long calendar. But when I wasn’t at work (and sometimes when I was) I often wondered why all the hours and weeks and months and years leading up to retirement couldn’t feel a little more exciting. A little less like being in auto-pilot. Then my mom passed away. I still went off to work every day, but inside my head and heart, there wasn’t much quietness anymore. Instead there was a constant internal noise and the only thing that seemed to turn down the volume was working in the kitchen—rolling pie dough, putting together a pot of soup, doing the very things my mom had loved doing best. Making food. I began to spend a lot more time in my kitchen. Four years later, I left the job that I had once considered my forever job. In my last 6 months there, my workplace underwent drastic changes and I was unhappy more often than happy. I didn’t exactly have a plan in place but I knew that I would not spend eight hours a day being miserable. I spent a few months feeling more than a little lost. What do you do when you suddenly find yourself without a daily agenda? Or a regular group of co-workers, or a steady paycheck? I enrolled in South Seattle College’s Pastry and Baking Arts program. I was still spending a lot of time in the kitchen at home, and I knew I would enjoy going to school to learn about baking. It turned out to be my Hogwarts. Every day was magic as we learned baking theory and then spent the next five hours in the kitchen putting theory to practice. I had two amazing chefs for teachers, and eager like-minded people to share the adventure. I was one happy Harry. I decided my new direction in life would be centered around food. About halfway through the 18-month program, my financial situation at home changed unexpectedly and drastically. I regretted dropping out before getting to the sugar and chocolate module, but I could no longer justify spending my days going to school instead of working and helping to earn income. I got a job as a pastry cook at a bakeshop in Seattle. I wish I could say that it was a job I loved and could see myself doing for a good, long time. It wasn’t. The frantic pace had me feeling like a factory worker and it wasn’t what I had envisioned of my new journey in food. What I wanted was the kind of job that would allow me to craft food products as if I were preparing them for good friends in my own kitchen—thoughtfully, lovingly. No constant rushing. Was I being unrealistic? After a few more bakeshop jobs, it seemed so. But it didn’t mean my dream job couldn’t exist. It just meant that I would have to create it myself. In early October of 2016, I made the scary but exciting decision to start my own business. I spent all my time thinking about possible products and experimenting with recipes in the kitchen. There were so many things I loved making and baking. What to focus on? I wanted something I could pour my personality into. Something that would let me be the big kid I am. Something that would be all about celebrating innocence and embracing the simple joys and old-fashioned values I love so much. I decided on a candy business. 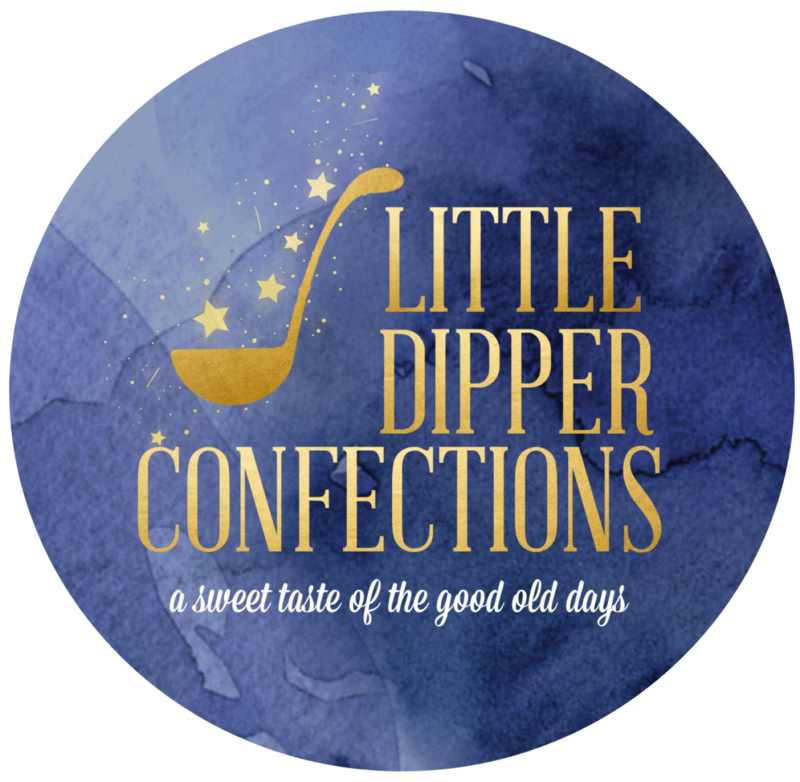 It would be called Little Dipper Confections, and I would offer handcrafted specialty chocolates made always with the proper amounts of time, attention, love, and care. There’s been no looking back since.